HVAC maintenance can be a tricky thing to figure out if you’re not familiar with your unit. It’s important to know which parts need cleaning and which ones don’t, and to retain the information for the next time your unit needs attention. Unfortunately, when it comes to HVAC maintenance, there’s one particular part of the unit some people make the mistake of overlooking: the air ducts. Whether from ignorance or a lack of desire to do the work–or hire someone else to do it–these individuals often choose to forego cleaning their air ducts entirely. Prioritizing air duct cleaning is as important as cleaning the rest of your air conditioning unit, not just because of the numerous health hazards that can be brought about by dirty air ducts, but also because of the potential damage dirt and debris can cause. Keeping your air ducts clean is not only beneficial to your health, it will also save you money by helping you avoid premature maintenance or replacement of your HVAC unit. Failing to clean your air ducts can wreak havoc on both your health and your home. So what exactly are the problems that can arise due to a lack of HVAC repair and cleaning? 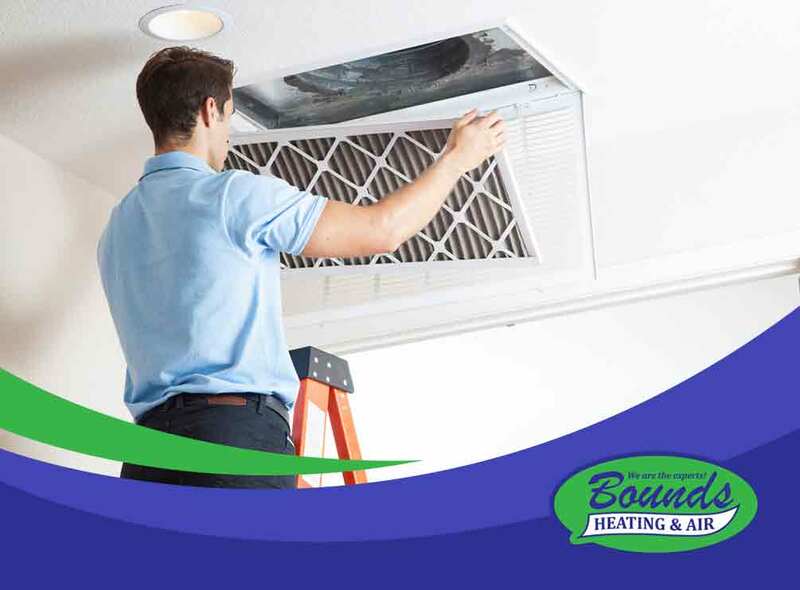 At Bounds Heating & Air, we’re prepared to help you learn more about the dangers of poor air duct cleaning. Indoor Air Pollution – Air ducts become dirty when dirt and debris collect in them over time. Filthy air ducts will negatively affect the air quality in your home or building; failing to get them cleaned will pollute the air and severely decrease the purity of your indoor air. Sickness – Poor air duct maintenance can easily bring about sickness; not cleaning your air ducts is basically an invitation for viruses to come into your home. Dirty air ducts can also cause asthma and allergies among household members, especially children and the elderly. Rodents and Insects – It’s no secret that most vermin are drawn to dirt, and failing to clean your air ducts could potentially attract some nasty visitors into your home such as rats, cockroaches, spiders and other pests. If your air ducts are dirty, it’s in your best interest to call an air conditioning repair crew to your residence immediately. Odors – Mold and mildew can form in dirty air ducts. Not only are these health hazards, but they can also bring foul odors into your home. Broken HVAC – Air ducts become grimy when dirt and debris is allowed to build up in them, and if you don’t get them cleaned the debris could eventually stop the system from functioning entirely. A broken HVAC is expensive to replace, so regular maintenance and a little cleaning could go a long way in preventing this expense. To learn more about the services of Bounds Heating & Air, contact us at (352) 278-9123 or fill out our contact form. We serve Gainesville, FL, and other nearby areas in Florida.